The media is a fickle beast, so coverage of potential epidemics of diseases veers between the apocalyptic to nonexistence. As an outbreak occurs we hear about the potential terrifying consequences of the disease, combined with graphic details of the symptoms and frequently pictures of large numbers of dead animals. Rob Wallace's new book is an important polemic that argues that we, as a society, should be a lot more concerned about the potential for disease to decimate the human population. It is very much a question of not if, but when. Wallace's work is important because it argues that the key problem is not inadequate science, nor ineffectual medicine (though at times these may be issues) but an approach to the question which fails to see the systematic way that capitalism has transformed our relationship to the wider eco-system in ways that encourage the spread, mutation and virulence of disease. 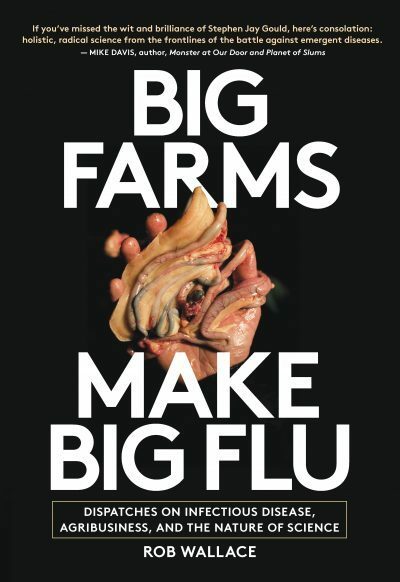 Firstly, agribusiness, the huge corporations that dominate global farming today encourage disease. They do this in a number of ways. Farming is vertically integrated - from birth to slaughter animals are brought together in enormous numbers, in single locations. This encourages both the spread of disease and its evolution. 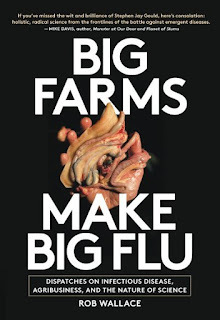 Frighteningly, Wallace also notes that research shows that the common response to infection among animals, large scale destruction of the flock or herd, helps to select pathogens to be more virulent, or to target younger animals, both increasingly the likelihood of further outbreaks. The CP Group operates joint-venture poultry facilities across China, producing 600 million of China's 2.2 billion chickens annually sold. When an outbreak of bird flu occurred in a farm operated by the CP Group in the province of Heilongjiang, Japan banned poultry from China. CP factories in Thailand were able to take up the slack and increase of exports to Japan. In short, the CP Group profited from an outbreak of its own making. It suffered no ill effects from its own mistakes. As Wallace emphasises though, this is not about humans as such, it's about how agriculture is organised. The onus must be placed on the decisions we humans made to organize them this way. And when we say "we," let'd be clear, we're talking how agribusinesses have organised pigs and poultry. What does it mean to change the use value of the creatures we eat? What happens when changing use value turns out poultry into plague carriers? Does out-of-season goose production, for instance, allow influenza strains to avoid season extirpation, typically a natural interruption in the evolution of virulence? Are the resulting profits defensible at such a rapidly accruing cost? neo-liberalism's structural shifts are no mere background on which the emergency of Ebola takes place. The shifts are the emergency as much as the virus itself. Changes in land use brought about by policy-driven transitions in ownership and production appear to be fundamental contributions to explaining Ebola's area-specific emergence. Deforestation and intensive agriculture may strip out traditional agroforestry's stochastic friction, which typically keeps the virus from lining up enough transmission. Wallace is not suggesting that we shouldn't spend money on research, or administer drugs or try and alleviate poverty. What he is trying to do is outline method for scientists and government officials to understand the origins of the root cause of the problem. The reality is though that precisely because agriculture is dominated by huge multinationals, Wallace's warnings are likely to be ignored. This is why its good to see he doesn't ignore the struggles of farmers and agricultural workers to improve things and shows that many farmers are well aware of the limitations of industrial farming. Not least because, as he argues, the aspect of animal agriculture that is least profitable is the bit that the corporations are least interested in - the care and maintenance of the animals themselves. It's also the part that is most risky from a disease point of view. Farmers understand this, and they also know that the system is stacked against them as the corporations and banks collude to maximise profits at the expense of livelihoods. Wallace's book is a detailed and at times difficult read. It originates mostly as articles he has written for his website Farming Pathogens and hence contains a lot of scientific terms and concepts, some of which were incomprehensible to the interested lay-reader and most of which received little explanation. Because the book originates in essays and talks given elsewhere there is some repetition, but I felt what was missing most was a concluding chapter that summarised the author's arguments and offered a clear strategy aimed at the lay-person. That said, for readers interested in capitalism, ecology and wider environmental questions there is much to be gained from this fascinating, if terrifying book. 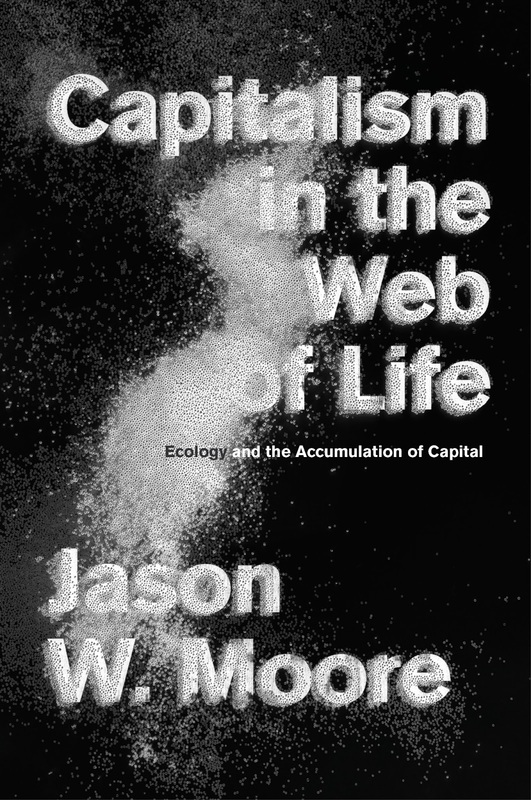 Capitalism in the Web of Life is a critique of what Moore sees as established thinking around ecological questions. His particular targets are what he calls “Green Thought” and the work of Marxists around ecological issues. Moore is at pains to put his own distinct ideas on the table. This seems to me to be a crude criticism of John Bellamy Foster's work. As Foster himself has pointed out in a response [Ref 4] to Moore’s book, this is a misunderstanding of dialectics. The point of dialectics is very much the coming together of opposites. Thus “society and nature” are both the same, society is inseparable from nature, interdependent and so on, but also there is difference and separation too. As Foster points out, “To call that approach “dualist” is comparable to denying that your heart is both an integral part of your body and a distinct organ with unique features and functions”. But in places Moore recreates this duality himself. Although he talks about the oikeios, as the sum total of social relations that “form and re-form the relations and conditions that create and destroy humanity’s mosaic of cooperation and conflict: what is typically called ‘social’ organisation”. But then, in dozens of places through the book, Moore is forced to use the phrase “human and extra-human natures” emphasising the differences between the two. I don’t want to dwell further on this part of Moore’s book in part as it's been extensively critiqued elsewhere, though Moore’s oikeios underpins all of the remainder of his work and the weakness of the concept in turn weakens the rest of his argument. For the remainder of this review I want to focus on two other aspects of Moore’s writing. The first of these is the centrality to which Moore gives a reworked concept of the law of value and, secondly, what this means for how we get a non-capitalist, sustainable world. I should note in passing that I did not agree with some other parts of Moore’s book such as his discussion of the Anthropocene [Ref 5] but these are consequences of his approach to the subject and will no doubt be further discussed elsewhere. Marx argued that the value of a commodity is proportional to the labour required to produce it, a proportion that is related to socially necessary labour-time, averaging the human labour required across society. Moore says that “this cannot be the end of the story” as this fails to account for the central importance of “invisible work” such as the contributions of women to the reproduction of labour, non-human labour and the contribution from natural resources (coal and wood for instance). Here Moore echoes others, like David Harvey, who have emphasised the importance of a new phase of primitive accumulation, what Moore would characterise as the location of new sources of cheap nature at the “frontiers” of capitalism, to fuel the ongoing accumulation of capital. However, as Sam Ashman and Alex Callinicos have argued there is a limit to this. This is not to devalue what capitalism does. Moore rightly points out capitalism bends everything to its own interests, the “mapping, quantifying, and rationalizing natures in service to capitalism accumulation”. [p67] We should never forget that this means the systematic destruction of natural resources, human lives and employment and the transformation of everything into systems that can maximise the accumulation of wealth in the interests of a tiny minority. What is being bought and sold [by the capitalists] is a worker’s ability labour, not the actual work. Because exploitation is a social relationship between worker and boss and between bosses who compete with each other, the crucial question is not even how much value a single worker produces. The concept of ‘socially necessary labour time’ has to be recognised – the average time needed to produce a given commodity in society at any one time.... Just because domestic labour in the home is not directly producing surplus value does not mean that Marxists don’t recognise its contribution to the ability of the ruling class to make profits. Of course, this is not to argue that cheap inputs are not important to offset the failing rate of profit. It is one reason, for instance, that capitalists are constantly searching for new, easily accessible sources of oil. It is precisely here, in his attempts to understand how capitalism actually operates, that the concept of oikeios is exposed for its limitations. Humans can work over-time, or they can refuse to and “work-to-rule” or strike. Non-human nature cannot make these sort of decisions. It’s a meaningless approach to human ecology. This sort of approach downplays the centrality of humans to historical change, and, most importantly it negates the central role that workers have, through the importance of their labour power to capitalism, to transform society. For all its critiques of capitalism, and indeed for its excellent analysis of the problems that the “web of life” creates, Jason Moore’s book is perilously short on alternatives and how to get there. It would be entirely fair for Moore to disagree on the Marxist vision of revolutionary change whereby workers transform society and themselves through a mass movement that creates a workers’ state and the organs of popular democracy and a democratic, planned economy. But surly an alternative should be offered. Moore mentions, almost in passing, a few attempts to improve aspects of society, notable some radical attempts to rebuild agriculture outside of the mainstream economy by mass movements of landless workers and peasants in parts of South America. But, given the urgency of the environmental crises we face, this is hardly a vision for all of us. Moore questions whether “the ‘collapse’ of capitalism.... [is] really to be feared” [p86] pointing out that it is a society that leaves a third of the population in malnutrition. Well the real question is whether there is an alternative. The replacement of capitalism with a socialist, sustainable, world based on equality, democracy and so on, is of course not to be feared. But the collapse of capitalism without such an alternative would be horrific for billions of people – the regression to barbarism that Engels feared would happen without socialism. But despite this fear there is no clear alternative. I have spent almost all of my review criticising aspects of Moore’s book. It is worth noting that I did find much of passing interest in the work. In particular, I enjoyed Moore’s clear critique of the Green Revolution and modern agriculture. Capitalism in the Web of Life is a book that will be widely read, and has already received many commendations. But there are significant problems with its approach which I hope that I have managed to outline in the interests of a stronger left, and Marxist, ecology. In this review numbers in square brackets refer to 2015, Verso edition of Capitalism in the Web of Life. Moore discusses the Anthropocene and conflates the start of the Anthropocene as being with the systematic adoption of fossil fuel. I think this misunderstands what the Anthropocene concept is from a scientific point of view, particularly the idea that there has to be a geological marker for its beginning. Moore is wrong also to suggest there are only “weak” arguments for a late Anthropocene. Ian Angus, for instance, puts a strong (and clear) argument for a post-WW2 Anthropocene in his Facing the Anthropocene, Monthly Review, 2016. Sam Ashman and Alex Callinicos, Capital Accumulation and the State System: Assessing David Harvey’s The New Imperialism, Historical Materialism, volume 14:4, p128-129. Judith Orr, Marxism and Women’s Liberation, Bookmarks, 2015, p159-160. Karl Marx, Capital III, Penguin, p342-343. The plural "causes" in the title of Norah Carlin's book is important because as she makes clear she is not looking for a single cause. Indeed, as she points out, most historians "see it as their duty to establish a hierarchy of causes and to explain if relevant the relationship of one cause to another". Instead Carlin paints a picture of a gradually changing society, sections of which are increasingly coming into conflict with the established order. There's the rise in trade, and the growth of capitalist relations in the countryside, but despite the importance of this to the economy, it was "rare" for merchants to rise to the peerage leading to their interests being sidelined in national politics. Simultaneously there was a growth in popular protest, and as Brian Manning has argued "mounting disorder due to the intensification of social conflicts". 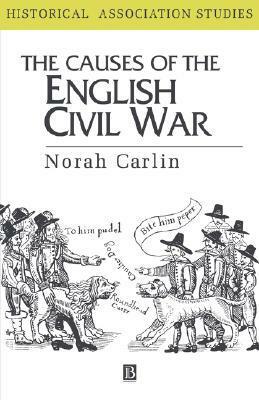 Carlin notes though, that this is controversial, but it was believed by many observers at the time which was "an important factor in the political choices they made in 1640-2". Whether or not "disorder" was substantial, Carlin does argue that the period in the run up to the Civil War saw a growth in what we might now call political campaigning amon "layers of the population not normally involved in political activity". One petition from Essex received 30,000 names or marks. These petitions tended to congratulation Parliament, urge the avoidance of war and warn the king that his actions were leading to conflict. English Puritanism can, moreover, be regarded as radical in its promotion of social and political activist, or positive intervention by even humble individuals in the hope of improving things or resisting evil... The radicalism of Puritanism would seem to lie... not in its autonomous 'religious'' characteristics... but in its function as a shared language or culture of activism and reform in the community. These factors were encouraged by the changing economic and social situation in England. The growth of capitalist relations and the desire by those who made their wealth from trade to have their voices heard and a say in national politics led to a fissure in society that could only result in social conflict. Changes in English society therefore made not only civil war, but the possibility of an independent political order without the king and even without the nobility, sustainable in a way which would have been unimaginable a hundred years before... The 'middling sort' of seventeenth-century England were prepared to sign political petitions, attend meetings and demonstrations and ultimately to arm for one side or the other (or even against both) in the English civil war because they had become accustomed to regarding themselves as participants in government rather than the dependents of feudal overlords. The Civil War that erupted was thus an outgrowth of all the different changes in society coupled with a growing confidence by a section of society to actively engage in political action. Thus when Parliament was unable to militarily defeat the King, it required the bringing together of the desire for political change with those prepared to fight for it. Thus Cromwell's "Russet coated gentleman" who knew what he fought for, became the battering ram to smash the old order. 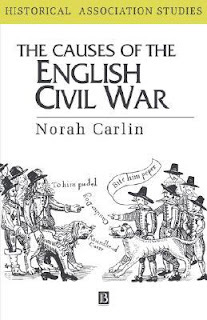 Norah Carlin's book is an excellent intro both to the causes of the English Civil War and to the wider historical debates that have taken place almost since the war began. The Fireman tells the reader little about what is taking place in the wide world. There is little about the fall of governments or the failures of technological systems except for the most tantalising of snippets. After all we do all like to imagine what the end of civilisation is like. 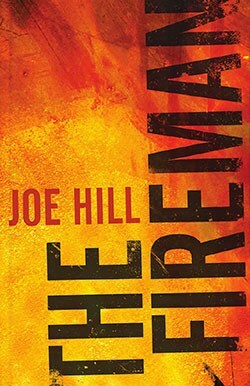 Rather like another recent piece of apocalyptic fiction, Station 11, Joe Hill's novel focuses on the lives of a few individuals, how they survive and their personal relationships. Some of these come from before the apocalypse, but The Fireman tends to keep the post plague world rather more self contained than Station 11. The Fireman's world ends with disease, as a plague of Dragonscale effects individuals leading them to spontaneously combust. The shock of the combustion can lead to chain reactions and eventually large areas of the world are aflame. Reading, and enjoying The Fireman is a little dependent on suspending one's belief in the laws of thermodynamics. There is also a, perhaps unintentional, metaphor for global warming here. One that has a particularly amusing moment as Dragonscale denier and right-wing presenter Glen Beck bursts into flame and dies live on TV. Joe Hill's disaster zone is a frighteningly contemporary one. His heroes compare events to 9/11 and JK Rowling is shot by firing squad for refusing to give in to a particularly nasty right-wing religious regime that comes to power in Britain. But the centre piece of the novel is how the hero, Harper, comes to an isolated community of fellow Dragonscale suffers who have learnt to control, and indeed, thrive on the flames produced by the Dragonscale. Hunted by vigilantes and authorities (though the difference is often unclear), Harper has to survive the reality of a small group under enormous tension in the face of the collapse of social order. The big question here, of how people who are victims of such a plague survive in the atmosphere of terror that results, has many tragic resonances with today as refugees and migrants are scapegoated around the globe. 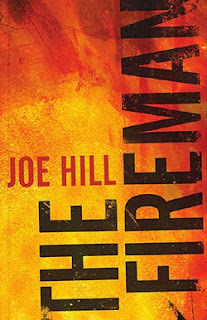 The Fireman is a page-turner, in part because of its unique story. But I was disappointed by the ending and at times I thought Joe Hill was trying too hard to highlight the parallels with modern society (let's all hope the references to Trump date very quickly). Comparing it to similar stories, such as Stephen King's The Stand, I wondered whether it will stand the test of time quite as well. Nonetheless its a unusual addition to the genre that will keep the reader glued till the end. Who is the bandit? Where do they come from and how do they survive? These are the questions that Eric Hobsbawm's classic work Bandits sets out to explore. Rather then seeing bandits as revolutionaries, Hobsbawm sees bandits as those who are trying to solve problems inherent in the unpredictable life of the peasantry. En. masse, they are little more than symptoms of crisis and tension in their society - of famine, pestilence, war or anything else that disrupts it. Banditry is therefore not a programme for peasant society but a form of self-help to escape it in particular circumstances... Bandits... have no ideas other than those of the peasantry... of which they form a part. 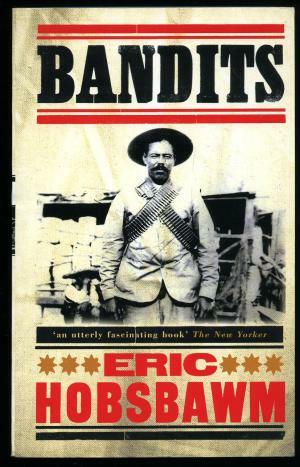 Rarely do bandits have a political strategy, or a revolutionary programme. Insofar as they do have a vision, it is "the defence or restoration of the traditional order of things 'as it should be'." (Revolutionary traditionalists as Hobsbawm describes them). Because this may well be a mythical past, this can of course inspire others. Thus bandits individually or collectively can be part of organising to both help others (the redistribution of wealth like Robin Hood for instance). But they can also become symptomatic, or play leading roles, in wider social movements. But even when bandits take on more politically active roles, such as the case of the Spanish bandit Sabate, who during the era of Franco held up bars to play anti-Franco songs, or fired leaflets from cannon into football crowds, you get a sense of spectacle for the sake of it, rather than real attempts to lead and organise. Bandits are part and parcel of the communities they come from. But they are also an "outsider and a rebel, a poor man who refuses to accept the normal role of poverty, and establishes his freedom by means of the only resource within reach of the poor, strength, bravery, cunning and determination". It's this that can turn the bandit into hero, that can ensure that poems, songs and stories live on, long after the usually short lives of the bandits themselves. They inspire the peasant in the face of a world that offers only hard work and poverty, and little way out. While an interesting read, there are places were this book feels very much the product of its 1969 publishing date. One such passage is when Hobsbawm discusses Sabate, writing that "just as there are some women who are only fully themselves in bed, so there are men who only realize themselves in action". Such sexism will shock the modern reader, and devalues the rest of this informative study. Millions of words and hundreds of books have been written on Malcolm X and the struggle for Civil Rights in the United States. In an era when #blacklivesmatter is an essential rallying cry for hundreds of thousands of people sick of institutional racism and the routine killing of black people by the American police, the lessons of the Civil Rights movement remain crucial. Of all the introductions to Malcolm X few are as succinct and accessible as Antony Hamilton's new Rebel's Guide. He brilliantly covers the Civil Rights era, showing how Malcolm X's life was intertwined with the changes that were taking place. 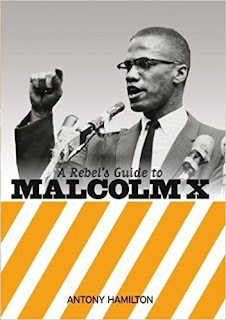 From Malcolm's early life in a poor black ghetto, where he experienced the violence of the racist state, to the growing Civil Rights movement which exposed the limitations of those who saw change coming from the US state itself, this book expertly captures the political changes that Malcolm went through as he first joined, then broke with the Nation of Islam. There is no doubt that Malcolm's membership of the Nation of Islam was a key part of his life. But Hamilton shows how Malcolm's revolutionary politics led first to a break with the NOI and then, in the few months he had left before his assassination, a rapid development in his revolutionary ideas. Central to this were his trips abroad, in particular his experiences of the anti-colonial and pan-African movements that were shaking Western Colonial rule in Africa and elsewhere. Despite the limits of these travels - Hamilton points out that "[Malcolm] was always in the company of national leaders or royalty and separated from ordinary people. His various speeches and addresses were to academics in universities or governments" - Malcolm was exposed to new united movements that brought together many different people. This helped challenge his black-separatism, at the same time as fuelling his belief in the revolutionary transformation of society. I hadn't realised the extent to which, in this period, the US left had helped with this. Malcolm frequently spoke on platforms with socialists and trade unionists, though it seems his understanding of socialism was shaped mostly by the idea of strong state ownership. Swept up in a victorious atmosphere of African nationalism, Malcolm was propelled towards seeing socialism as the key to freeing Black people. He stated that 'you can't have capitalism without racism' and those who opposed racism and capitalism were usually socialists. However, the socialism which was promoted in the newly independent nations was a convenient way to describe their alliances with the Soviet Union in opposition to US imperialism... This guided Malcolm's idea of socialism and gave greater attention to the actions of new governments rather than to the heroic struggles of the working class. There is a common tendency to place Malcolm X and Martin Luther King Jnr in opposition to each other, one violent an the other peaceful. But this is too simplistic a view. Neither was static. The tactics and determination of both King and Malcolm were necessary components of the movement and both changed depending on the circumstances. Had Malcolm X lived he would have continued to play a central role in the struggle against racism, but also one that linked this closely to the fight against capitalism, the system that breeds racism. As such his ideas and his life are very important to the struggles today, and this little book is a wonderful introduction to these. This is one of the most extraordinary novels that I have read in many years. It is being favourably compared to Orwell's 1984 or Kafka's The Trial. Certainly there are many similarities with these works that depict the difficulties faced by individuals confronted by brutal authoritarian rule and faceless bureaucracy. But to simply see this novel as being a Kafkaesque nightmare of bureaucracy gone mad is, in my opinion, too miss its essential context. This is, of course, the Egyptian Revolution. First published in 2013 and only recently translated here, the book fits the period after Mubarak had been overthrown and anticipates the fall of Morsi and the rise of el-Sisi. As such we get a novel depicting the country in a state of political and economic uncertainty, easily exploited by the new order. Set in a nameless Middle Eastern country in the aftermath of the "Disgraceful Events" when protests and riots against the country's dictatorship were brutally suppressed. Immediately after these "events", a new, faceless authority "The Gate" appears and from it an endless stream of commands, decrees and laws are made. At first these seem relatively benign, but as the Gate imposes its will it becomes harder and harder to function without the right paperwork. Then the Gate closes. And the story centres on those who end up queueing outside waiting for the Gate to open. In particular we follow those trying to help their friend, Yehya, who was injured during the Disgraceful Events, and who has a bullet lodged inside him. His friends struggle to get help from the doctors, who are themselves trapped by rules that prevent them assisting. The bureaucracy clamps down harder and harder, statements follow statements. "Bullets were used by the protesters, not the security forces" the Gate declares. "Bullets were not used at all", "Foreigners are to blame", "There was no Disgraceful Event". Various characters in the Queue represent different forces in the Revolution. There's the religious activist, convinced that only a strict adherence to religion will prevent social decay. There's young women who are fighting sexism and harassment and trying to organise against the state, and there is a man who truly believes his cousin who died in the security forces was actually a hero. There's even a brilliant little discussion about the role of social media as an organising tool. But behind all this is the imposing monolith of The Gate. As a metaphor for an authoritarian state it's perfect. 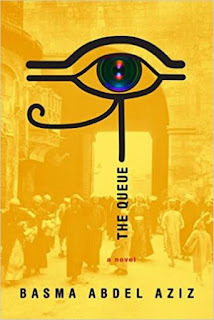 But the brilliance of this novel isn't this idea alone, nor the depiction of the un-moving queue of increasingly desperate people waiting outside - though the descriptions of the interactions in the queue are wonderful. What is fantastic in the way the author shows how the authoritarian state serves only its interests, and how this destroys some people's illusions, makes some people give up hope and forces others to try and fight back.